Deesse Pro LED provides a safe, pain free way to achieve naturally vibrant and clearer skin. The Device uses low level light therapy the way of medical grade, surface-mounted LED’s to expose the skin to clinically proven wavelengths of light, delivered at safe, therapeutic does. There is a choice of 8 treatment modes, meaning there is a mode for everybody and every skin type. To help reduce Fine Lines, & Improves Skin texture & leaves your skin toned. This treatment includes a double cleanse, tone LED MASK for 30 minutes and finishing your treatment with face & eye serum followed by appropriate moisturizer. 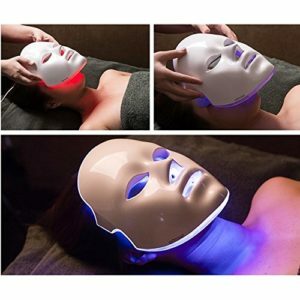 This treatment will just be the LED Mask with the best suited mode for your skin type. To receive the best results Deesse Pro LED Mask is recommended as a course. A course of 12 treatments in total. Treatments can be taken 3 times a week for 4 weeks or twice a week for 6 weeks.